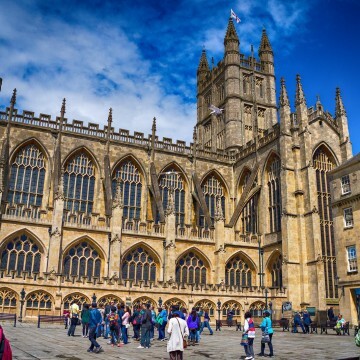 After visiting London, we carry on our road trip to the historic city of Bath, a town set in the rolling countryside of Southwest England, known for its natural hot springs and 18th century Georgian architecture. As for London, our stop in this beautiful city is only for one day. 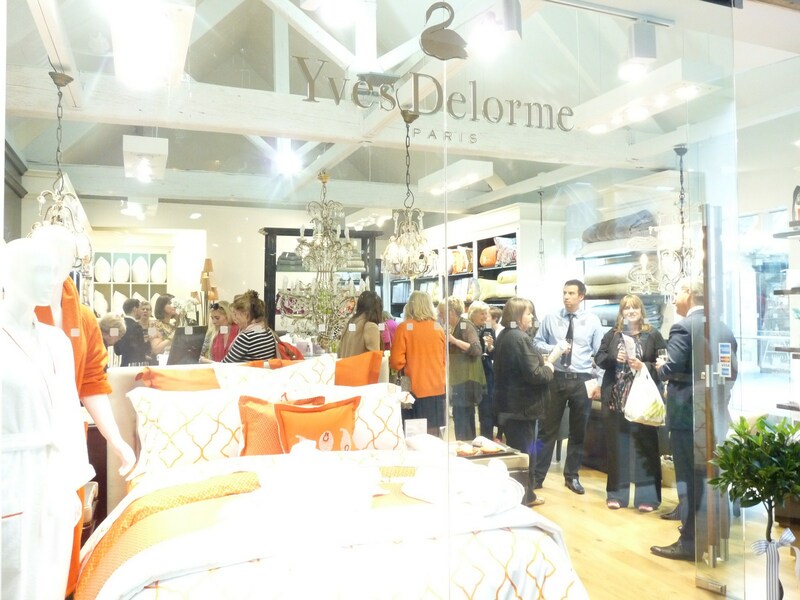 Meet us on Wednesday 22 July! 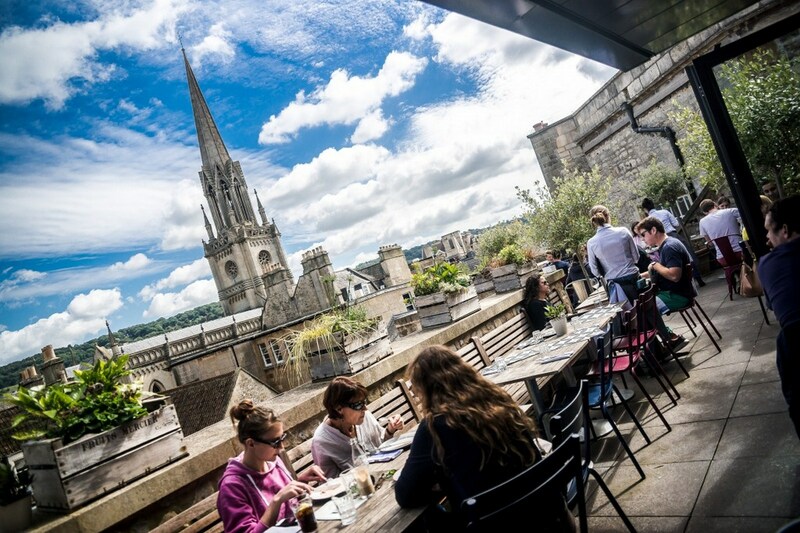 We will be based at Milsom Place. In 1987 the city was inscribed as a World Heritage Site designated by UNESCO in order to preserve its natural and cultural heritage. 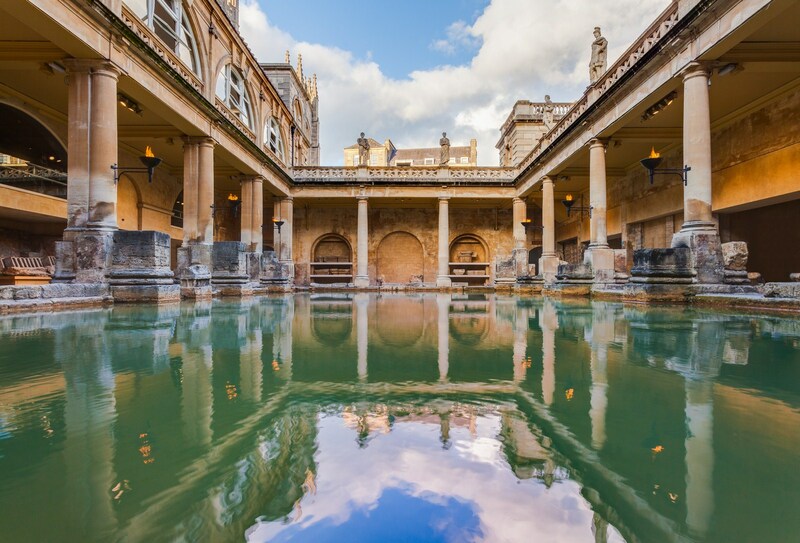 The city was first established as a spa town with the Latin name Aquae Sulis by the Romans around AD 60. 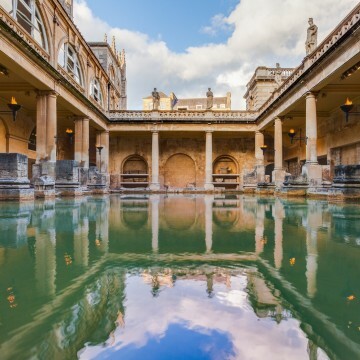 They built a temple and the famous Roman Baths – which have now been restored. 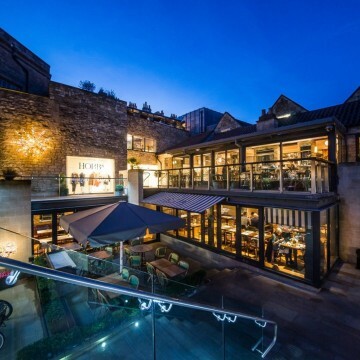 Its popularity as a spa town during the Georgian era led to a major expansion that left a heritage of Georgian architecture crafted from the honey-coloured Bath stone. 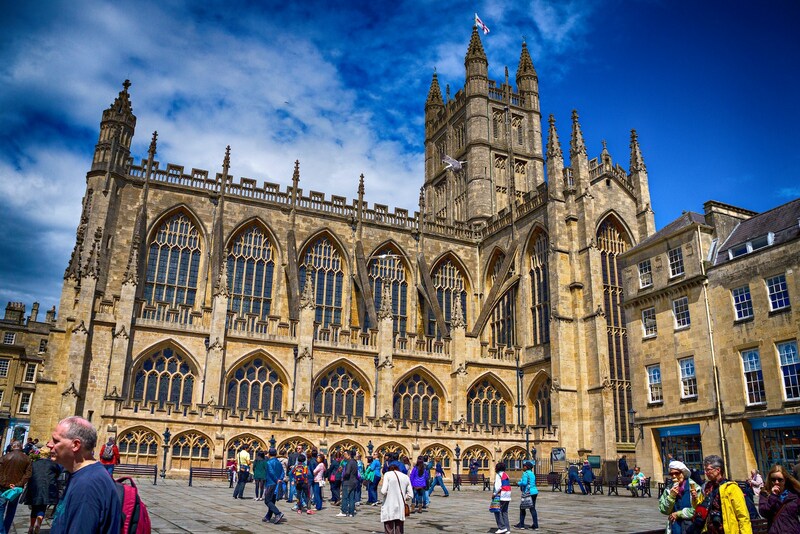 Visit the Great Bath, the magnificent epicenter to the complex and walk on the ancient cobbled pathways as the Romans did 2,000 years ago. 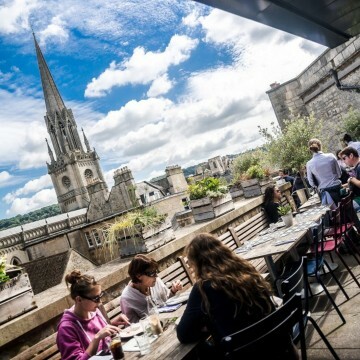 The Great Bath that lies below street level can also be viewed from the terrace, which is adorned with statues and shadowed by the great Abbey. Other chambers to explore include the remains of the ancient heated rooms and changing rooms as well as tepid and plunge pools. 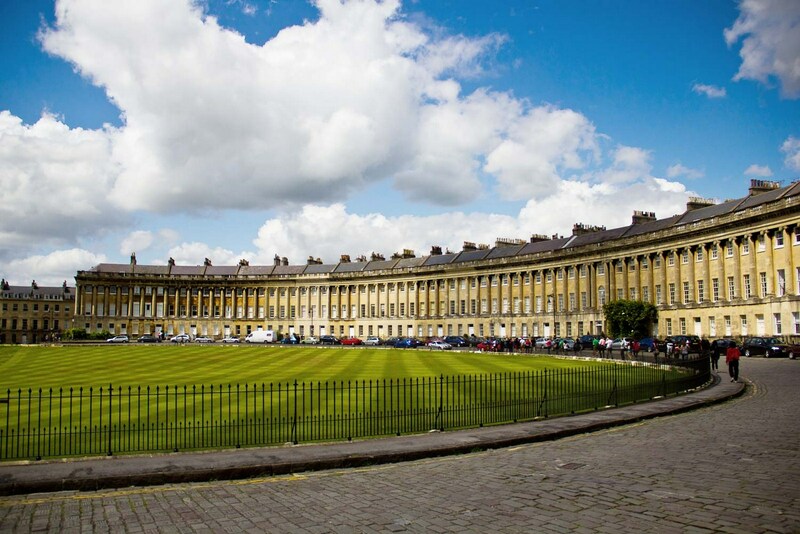 The Royal Crescent is a row of 30 terraced houses laid out in a sweeping crescent in the city of Bath. It was designed by the architect John Wood the Younger and built between 1767 and 1774, it is among the greatest examples of Georgian architecture to be found in the UK. 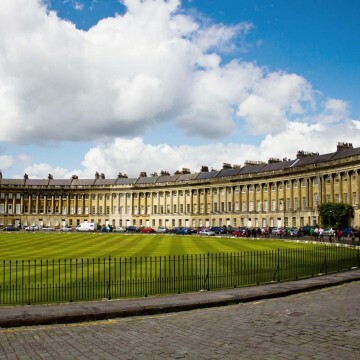 The Royal Crescent now includes a hotel and a Georgian house museum. 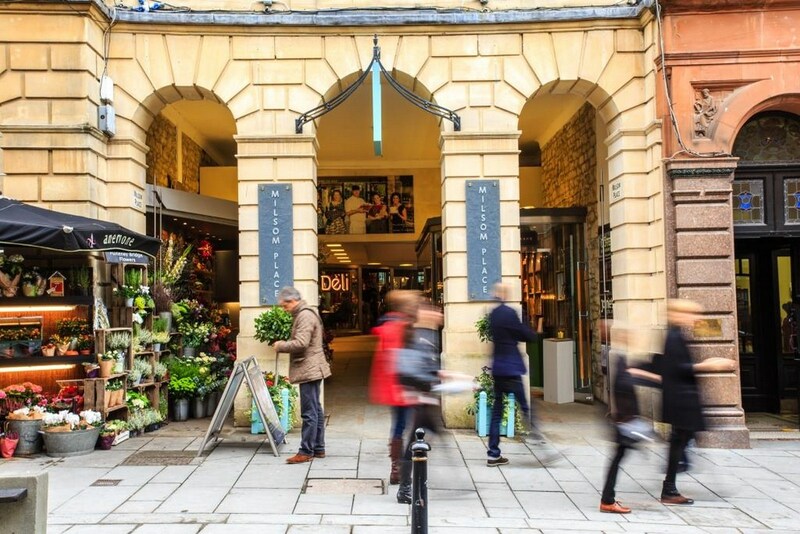 Shopping in Bath allows you to explore the grand Georgian Streets and small passageways that connect the larger stores with smaller independent boutiques. 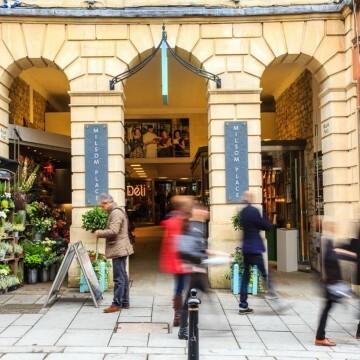 The smartest shopping destination is Milsom Place. 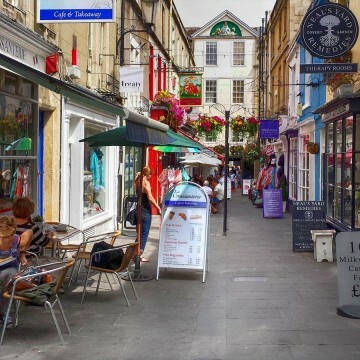 It is located at the heart of fashionable Milsom Quarter, set between Milsom Street and Broad Street and within a series of beautiful Georgian buildings, terraces and open courtyard. 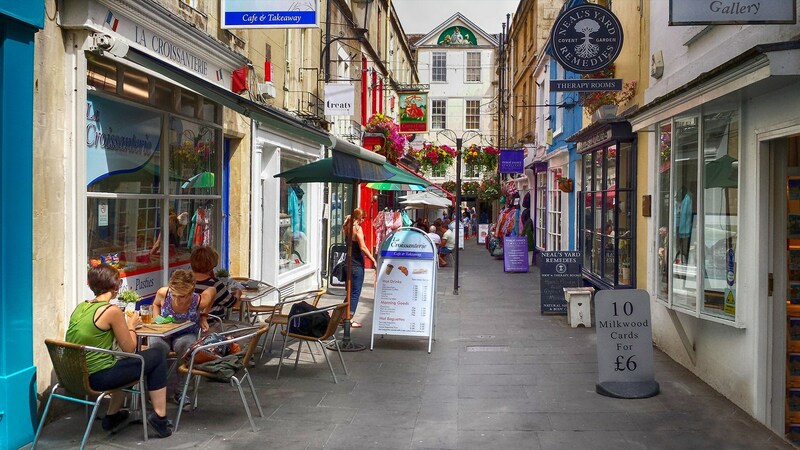 You will find a sophisticated collection of shops and restaurants with everything from fashion, accessories, and shoes to homewares to jewelry. 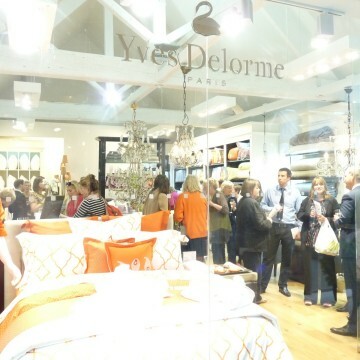 A great mix of new and established independent shops sit alongside flagship stores such as Hobbs, Cath Kitson, Phase Eight for fashion, Yves Delorme for luxury bed linen, towels, duvets and all kind of beautiful accessories for bed and bathroom. 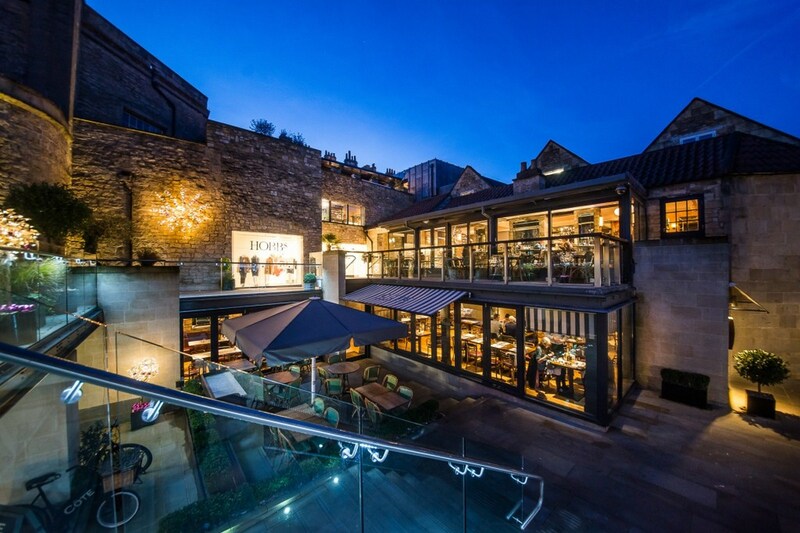 After all this shopping and to finish the day, go to Colonna & Hunter for craft beer or a divine coffee latte or why not enjoy a glass of Champagne at Cote Brasserie at their beautiful terrace at Milsom Place. Sit back, relax and unwind. Cheers!